Totes are available in Grey, Green, Light Blue, Red and Yellow. Please specify color when ordering. Totes nest inside each other when empty to save floor and counter space and can be stacked on top of each other when closed with a lid. These totes withstand an extreme range in temperature -60?F (-51?C) to 250?F (121?C) and offer high weight capacity of 500 lbs. (226.8kg). Thin-wall design and construction give maximum strength while remaining lightweight. 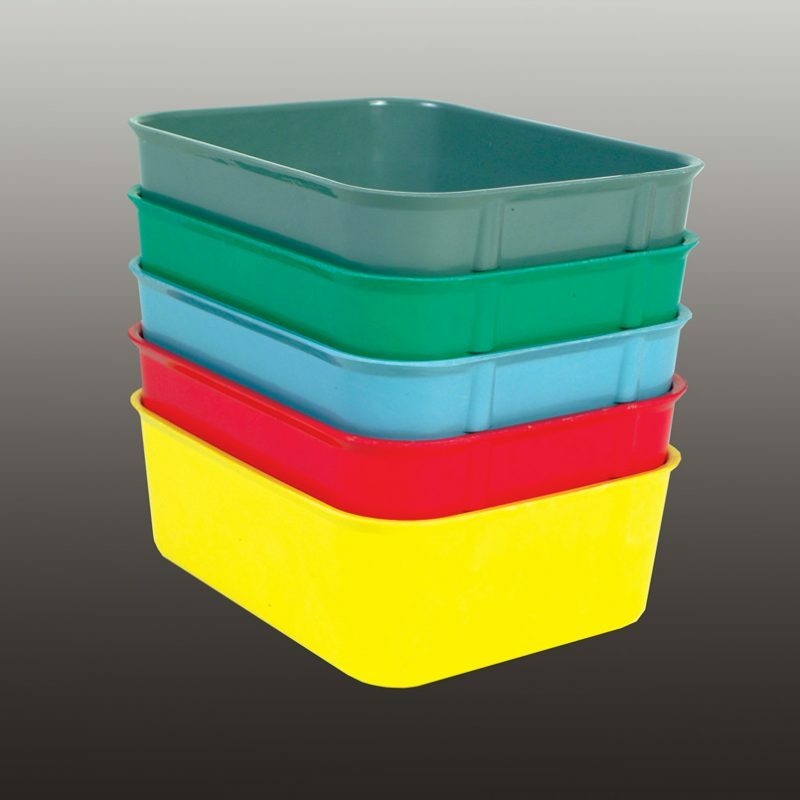 Optional dual purpose lids can also be used as trays. Lids are sold separately. Autoclavable up to 250?F (121?C) at 15 PSIG (Pounds per Square Inch Gauge).